Obviously, one wants to be at or below the shaded region, ideally. But those shaded regions don’t represent everyone who was ever successful, so it’s certainly possible to buck the trend and be a late bloomer. It just happens less frequently. 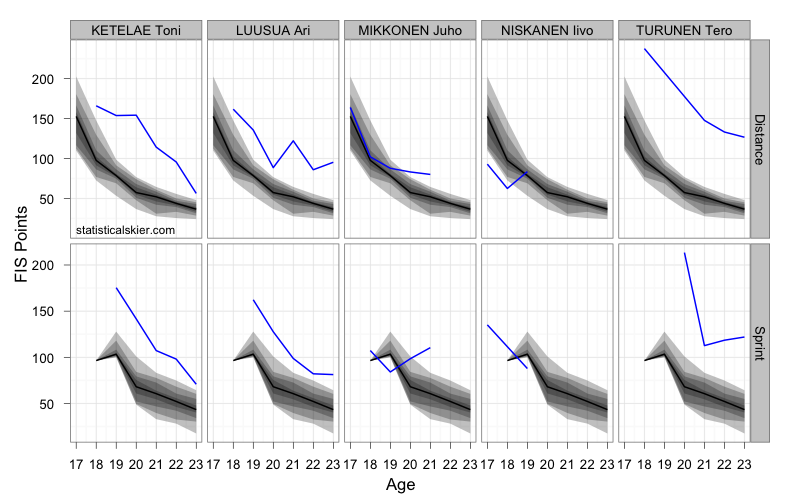 Perttu Hyvarinen certainly seems promising. Sami Lahdemaki does as well, despite a slight uptick in his results last season. Some different names here and none as obviously promising (based solely on the data). Posted by Joran on Wednesday, October 5, 2011, at 6:00 am. Filed under Uncategorized. 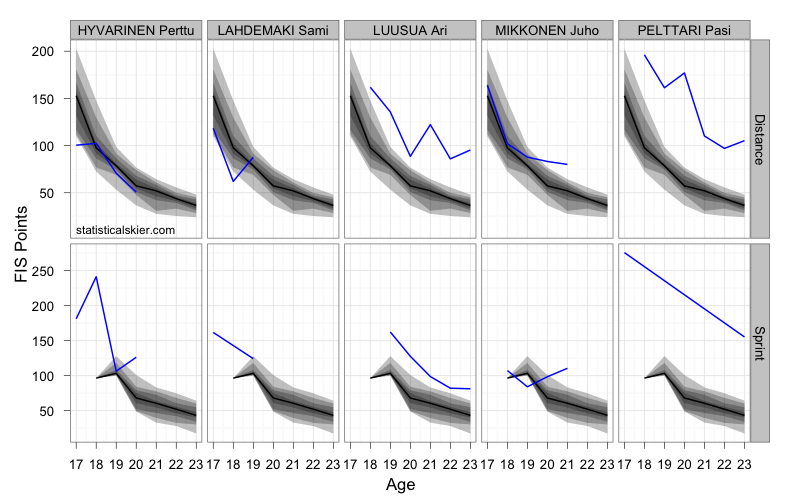 Tagged cohort, development, finland, men. Follow any responses to this post with its comments RSS feed. You can post a comment or trackback from your blog.